Boxford State Forest with adjacent Boxford Wildlife Sanctuary and conservation areas is situated at the crossroads of three different towns in Essex County: North Andover, Middleton, and Boxford. It is known to harbor one of the richest plant communites remaining in eastern Massachusetts. Yet this interesting forest has been somehow left outside the realm of government care or public support. It does not have its headquarters or mailing address, let alone a grass-root Friends organization.While it is found on the DCR list of hunting forests with its trail map available on line, it is missing from the list of Massachusetts State Parks, which includes reservations, parks, and forests. 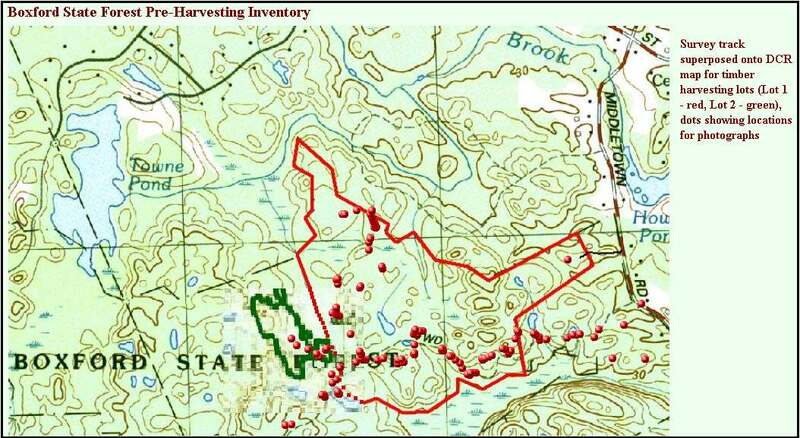 Even though this forest seems to be a somewhat forgotten area, the DCR did not neglect to include it on its list for proposed "timber harvesting." The DCR appeared too timid to put a plain figure onto the exact forest area proposed for "harvesting." Our own estimate of the area shown on the DCR map has produced a stunning figure of more than 100 acres. In case the cutting of the forest becomes a reality, its rich environment will be become more of a disturbed open space and a safe harbor for many invasive plants that are currently missing from this territory. Here is our page dedicated to this forest, as there is currently none on the Web. It contains our own report regarding the territory proposed for timber harvesting by DCR. 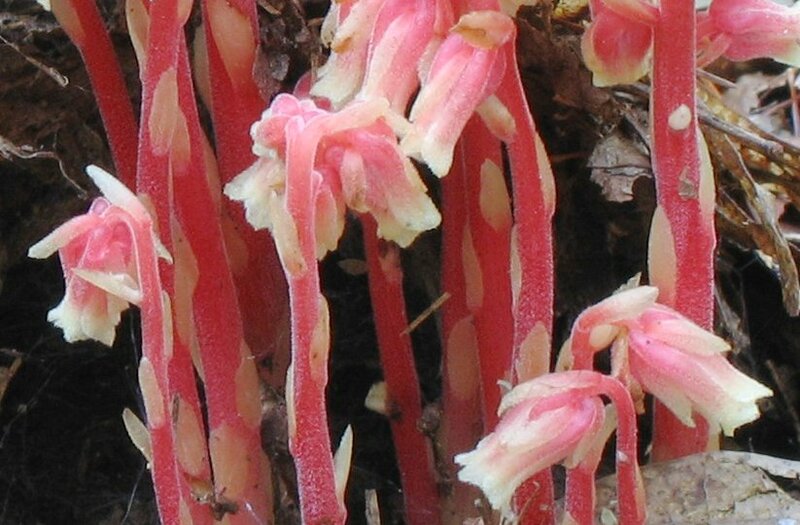 It is hard to imagine that the DFG/NHSP will be able to allocate enough resources in order to produce pre-harvesting inventories for all the 30 areas proposed for cuttings. Google has links to only some four or five of such reports. Therefore we are publishing our own unofficial report for just a single one of these forests. There is apparently room for updates, which we hope to accomplish in the future--in case the forest will have a future.